I know it’s been awhile since I’ve posted here, but we’ve had some ups and downs in these changing media times. 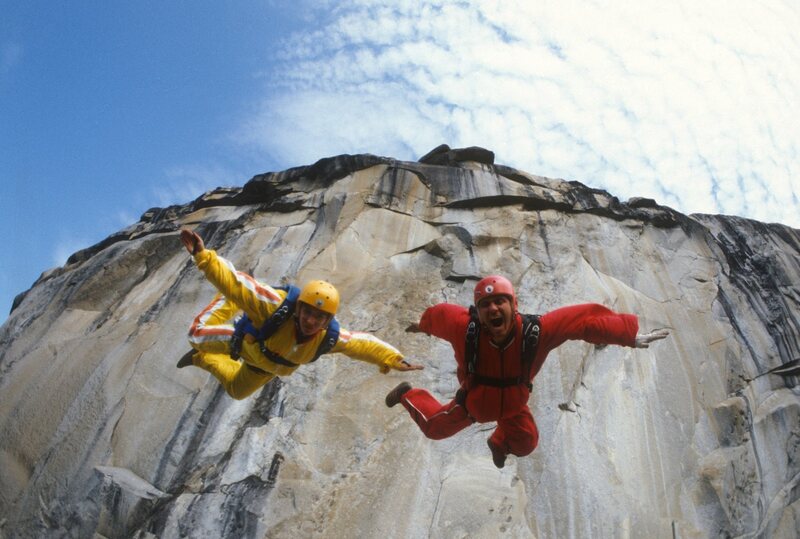 In fact, many days it’s felt like the photo above from the documentary “Sunshine Superman.” One Big Leap of Faith. A special shout out to this heart racing doc “Sunshine Superman,” directed by Marah Strauch that Magnolia Pictures/Universal is releasing theatrically on May 22. The awe-inspiring story is about Carl Boenish, the father of the BASE jumping movement, whose early passion for skydiving and filmmaking led him to even more spectacular – and dangerous – feats of foot-launched human flight. I was the Line Producer for the Los Angeles portions of the film. Nice mini review from Rolling Stone Magazine. In fact it’s been getting great reviews everywhere. See the trailer and follow the film on Facebook. Another project I recently Line Produced/Produced was Nicholl Fellowship winner Alan Roth’s directorial debut “Jersey City Story” for Lexus. The dramatic short film is now available on the Lexus website, L Studio. Inspired by these online showings and viral sharing, we’ve released some previous projects now for FREE online viewing. Many that I’ve written about on this site in the past. Check it out. My multi-award winning short narrative blues film, “Travelin’ Trains” Click on “Screening.” Also, the thought provoking short film I produced in 2005 starring Willie Garson and Misha Collins “The Crux”. Directed by Jeff Seckendorf​, Cinematography from Tom Houghton, ASC,​ Production Design from Edward L. Rubin.​ I think you’ll like both films. The award winning 13 episode PBS series “Senior Year” on 12 young people in their last year of high school at Fairfax High School are now all available at a special Siteroll web site, SeniorYearShow . Also, from Displaced Films our documentary on race relations in the south “Displaced in the New South” continues to play on the wonderful preserve of documentaries on American roots, Folkstreams. The documentary, “Go Public: A Day in the Life of an American School District” has been airing on PBS stations across the country since last May, 2014. The true stories of those hard working people in education; Teachers, advisers, students, etc. My favorite is the piece I directed on the janitor, Felix Lopez. Find us on Facebook for updates. Enjoy and certainly spread the word! I promise to be back to the blog more often, but first you’ve got some watching to do! What it Means to Be a Producer. For the last couple of years I’ve been teaching a two-day film production course for the FAS Film Screen Training program in Ireland. This is an abbreviated version of the week long course I teach at the Maine Media Workshops. The students (all ages) are looking to take a career path to media. Some of them have remained friends. One student, now studying film at St. John’s College in the beautiful city of Cork, Ireland, reached out, via email, with a series of questions on the role of the producer in the United States. I thought I would share her questions and my answers here in case others were interested. Thanks Yvonne. When did you decide that you wanted to be a producer? Like many filmmakers when I started, I wanted to direct. I still do. However, as I built up my resume and work experience, I started to understand the difference of a poorly produced production and a good one. I worked for years as an Assistant Director, which in this country is not a step toward directing, but more of the step toward producing. You get a real understanding of all facets of a production. How to accomplish the creative within the limitations of the budget. I started working with directors I respected and they asked me to produce their projects. I wanted to be part of the project. I don’t think I ever decided I wanted to be a producer, I just kept getting asked to produce. Can you tell me about your first producing job? Well, when you’re an independent filmmaker, you have to do at least some producing, so even when I was 10 years old making Super 8 movies, I had to figure out how much of my paper route money was going to go to buying film, who of my friends I was going to cast, how was I going to create the set. In college to get a BFA in Film from Emerson College, I had to make a half hour movie. I had a producer, but I still needed to bring many of the elements together myself. I guess my first truly paid producing job was working for Ted Turner in Atlanta, Georgia. He had just started CNN, TBS and Turner Networks. I had a fair amount of experience as a rental manager and accountant for a company called Blake Films, so I got hired for some Turner jobs because I was willing to work cheap. Was the process of becoming a producer a difficult one after you finished your education? Blake Films was my first job out of college and both my roommates had worked there. I started in the accounting office which for me was as far as you could get from making films, but on reflection, this is where I learned to create budgets, pay invoices, cost analyze. I was promoted to Rental Manager for a division of the company in Atlanta, Georgia. This gave me the knowledge of booking crews and equipment. However, at the time I still really wanted to direct, so I applied for grants and got the funding to make a short film, “Travelin’ Trains.” The film did very well at film festivals so I quit my job at Blake Films. I worked all different freelance jobs, but the only jobs I got as a director were unpaid. I did get some production manager and producing jobs. Most of the paying jobs were through connections and people I had worked with in the past. That’s so important in this business. It’s how I got my first job at Blake Films and how I continue to get work today. What advice would you have for someone looking to develop their producing skills? Learn from other producers. Watch how they work. Being a production assistant or coordinator for a producer is the best opportunity to watch and learn. Hopefully, it’ll be a producer that is willing to share some of their knowledge. Then offer to help produce some of your director friends projects. Make mistakes. Get better. Develop a reputation as a good producer. Don’t oversell your skills. Be honest. Do you find it hard when you’re directing, to be less hands on with producing duties? Yes, I’ve been accused of this. But in defense, when directing, I can make some cost saving decisions because of my producing and assistant directing background. I’ve also been accused of being fairly hands on with the directing when I’m producing. The reason being is that many of the projects I’ve produced have required me to wear both hats. We really need to build a trust as a team before I can comfortably step away from taking on both roles. On the other hand, I’m not as interested in producing a project if I don’t have some creative stakes in the final result. How would you describe the film industry from a producer’s point of view? What I find frustrating about the film industry in Los Angeles is that there is very little opportunity to move from one kind of job to another. I did this all the time in Atlanta – directed, produced, location manager, documentaries, feature films, directing theater. In Los Angeles, when searching for a job, I have to define my role as an absolute. Am I a documentary producer, reality television producer, indie film producer, televsion assistant director, indie film director, theater director? I’m all of the above and will do whatever it takes to get the job done to make the best project we can make. As a producer, I want the best crew person that can do the job for the budget. If they have more experience then me, that’s even better. Too many egos in this town. That’s why I think more and more people are going elsewhere to create their projects, that and tax incentives. I’m hoping to do all my future projects in Ireland. What qualities/skills/personal traits do you think a producer needs to survive in the film industry? When I teach classes or meet a new student for my OneonOne Film Training, I always write down the traits they’ll need to “make it” in the film business. I believe that if you don’t have these qualities you won’t survive and may want to save yourself the heartache and think about going into a different business. Those traits (in no particular order) are: Good Organization Skills, Good Communication Skills, Good Problem Solving Skills, Creative, Great Attitude, Competitive, Abundance of Determination and Sense of Confidence, Hard work and Energy, Dashes of Passion and Excitement, a Sense of Humor, a large Network of Contacts and Lots and Lots of Luck. For projects such as ‘We’ll Always Have Dingle‘ which you were Production Manager and Assistant Director, how hard is it to get funding? It’s always hard to get funding. It certainly is not my strong point. I’m much better at making sure the money that is available is spent wisely. I can’t tell you how many great projects that I’m attached to as either a producer or director or both that I’ve spent years trying to raise money. Examples like my feature film “Press>Play” and my documentary “Witness Trees” will have a few months of interest from an investor, but then the deal will fall apart. Year after year. Recently, I was contracted to produce and direct a documentary and after working for three months on the project, I was told “the creative had gotten a head of the capital.” This after I was guarenteed payment and turned down other exciting producing projects. A few years back, I had a feature film with a full cast and a production start date and then the financing fell through. It can be so frustrating. You spend so much time trying to appeal to the money source and it ends up going nowhere. There are lots of people (especially in Los Angeles) that like to pretend they’re in the financing movies business, but they’re really just seeking attention. I’m sorry do I sound jaded here. One of the things we did with “We’ll Always Have Dingle” was proceed to go into production before all the financing was secure. You see this done with many “Crowdfunding” projects. I don’t recommend this method, but sometimes, like in the case of “Dingle”, you have no other choice because so many elements were in place just for that short period of time. Cast, Director, Director of Photography, Location. It can be a bunch of elements. The hope is that by having a trailer or long form presentation you can raise the remaining budget or interest a distributor for finishing funds. I’ve seen this done many times, successfully, when pitching television networks, not as successfully with feature films. From your own experiences, what would be the main differences in the role of producer when making a television show such as ‘The Minor Accomplishments of Jackie Woodman‘, a documentary like ‘Houston, We Have A Problem‘, a reality show such as ‘Kids 2 Kids‘, or a film like ‘Finding Hope’? Every job for a Producer is different with a different set of challenges and variables. That’s why you can’t use the budget of one project and expect it to suffice for another project. You’ve got to do the work and research to create an accurate budget and pre-production plan for that specific project. Television series usually have union rules and network standards that need to be addressed. Documentaries usually have smaller crews, but bigger needs in post production, etc. Let me answer your question on the role of a good Producer (in my opinion) for any production. A Producer brings new investors into the film business and they look out for the investors’ needs because they think long term and know they need that private equity to continue for future projects. A Producer gets the script and pre-production right before moving forward. They inspire and develop talent because they embrace the project with their own love. Producers keep budgets at levels that make sense for the project, innovate, by making it a better project while controlling costs. Producers keep in touch with the audience, weighing what their tastes are, but also taking chances on emerging artists. This helps show the business and culture where it might aspire to be going. Finally, good Producers help bring content, creative talent, technology, audiences and investors together. Once I understood the elements of good producing is when I knew I wanted to be a producer. It’s been a busy year of festival screenings and promotion for our award winning documentary feature film, HOUSTON WE HAVE A PROBLEM. Now available for a very short time to view online, this week only, special for Earth Day! If you feel like others should see this film, like we do, help spread the word. Until April 30, 2011 for only $8.95, (cheaper then most feature documentaries on itunes), gather around the computer, have an Earth Day party, discuss the increase in gas costs, the war in Libya, learn and enjoy the film. If you have a fast internet connection, click on the HD button, either way watch it full screen. Watch it HERE. HOUSTON WE HAVE A PROBLEM stands out in the surge of films that address “green” issues. It takes a close examination inside the energy capital of the world to see America’s dangerous appetite for oil consumption. The film traces the history of oil drilling in America and how the United States came to rely on foreign oil, from the Texas oilmen themselves, tracking Congress’ empty promises for alternative energy since the 1970s. 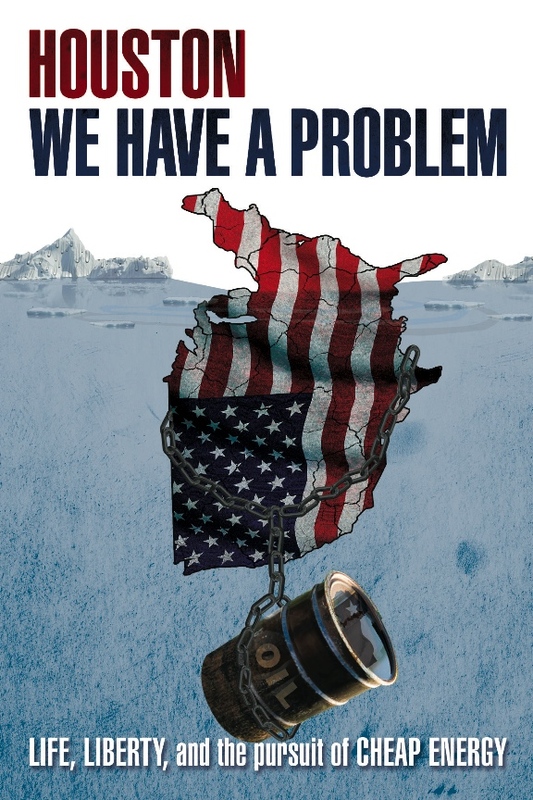 The energy policy of the USA has only been a strategy of defense, not offense, problems (like the Gulf disaster last year, an inevitable tragedy) that extend far beyond profit, politics, and party lines. However, a new form of “Wildcatting” in alternatives is changing the oil industry and the country. See and Hear the confessions of oilmen, who work in the trenches every day, scrambling to feed America’s ferocious appetite. HOUSTON WE HAVE A PROBLEM brings both sides together, seeking solutions, making it clear that we must embrace all forms of alternatives in order to save the planet and ourselves. Director Nicole Torre has gathered exclusive interviews with an A-list cast of Texas oil barons, Wildcatters, and top executives, including the former president of Shell Oil; the chairman of BP Capital; Sen. Harry Reid; Van Jones, Founder of Green for All; and Middle East adviser Joanne Herring, who married the founder of Enron and was the basis for Julia Roberts’ role in Charlie Wilson’s War. Watch what everyone is calling “a must see film at this time in history”. HUFFINGTON POST just reviewed the film and wrote, “Houston We Have a Problem is an educational, upbeat examination into the history and future of oil. It is a refreshing reminder that the energy debates are not black and white.” Read the full review HERE. CURRENT TV reviewed the film and called it “upbeat and engaging editing harmoniously meshes with its original NON-partisan clean energy stance, LOOKING TOWARDS THE FUTURE UNITED AS A NATION.” Here’s the full REVIEW. KPFK in Los Angeles did a one hour radio program in March of the film now archived for listening. My favorite is this British Press TV discussion. PLANET GREEN, which aired the film as part of it’s Reel Impact Series has submitted HOUSTON WE HAVE A PROBLEM for an EMMY Award! In addition to all this, HOUSTON has been recognized by the scientific community. Last May, it screened at the Athens International Science Film Festival in Athens, Greece, and has just recently played the Academia Film Olomouc, International Festival of Science Documentary Films. For a full list of festivals and screenings, go to our website . You can also see a POST when the film first started playing the festivals. Anyway, as you can tell, I’m proud to have been a producer on the film and if you’ve seen it, please help us spread the word, embed the links to the website on to your favorite environmental sites and blogs. If you haven’t seen the film, please watch it online now or buy the DVD for $19.95 at the website. You can also follow us on Facebook and Twitter. You can also see a bunch of clips and extra material from the film at our youtube channel. Thank you, as always, for your interest. I am honored and excited to announce that the feature documentary that I produced with director Nicole Torre, “Houston We Have a Problem” has been invited to the Documentary Fortnight at the Museum of Modern Art in New York City. This is a high profile event, so we hope to have a good crowd for both the 1pm and 3pm showings on February 20th, 2010. For those of you that don’t know, “Houston We Have a Problem” is a feature film, shot on HD, about the history and future of US domestic energy policies beginning with the Wildcatter’s discovery of oil in the late 1800’s. The film premiered at AFI-DALLAS in March 2009 and has gone on to play at over a dozen festivals to critical acclaim, nationally and internationally, including the International Documentary Festival in Amsterdam. That following day, February 21st, the feature comedy that I produced, “Tales from the Catholic Church of Elvis” will be in competition at the Big Muddy Film Festival in Southern Illinois. 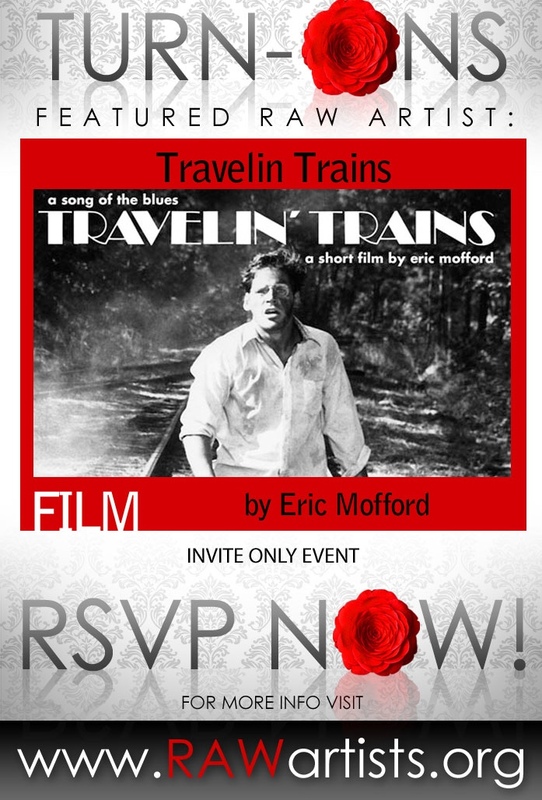 I’m glad to have the film playing there since this is the very same film festival that I won my very first film award 22 years ago for “Travelin’ Trains” (Best Narrative Film) That film can now be viewed on IMDB. I’m also excited to announce the world premiere in March of another comedy I produced, directed by Diane Namm, “Telemafia” at the Dingle Film Festival in Ireland. In regard to upcoming projects, I am reviewing a few proposals, but like for most of us, funding is tight. I’m still trying to get my documentary feature “Witness Trees” and narrative feature “Press>Play” financed, but am also producing/line producing and Assistant Directing for other production companies again. I have also partnered with Jeff Seckendorf for commerical productions at Snaproll Films. Check out the body of work at the website. I also continue mentoring new filmmakers with the OneOnOne Film Training program and have been scheduled to teach another one of my week long workshops on Line Producing/PM/AD work in Rockport, Maine at the Maine Media Workshops in late June.